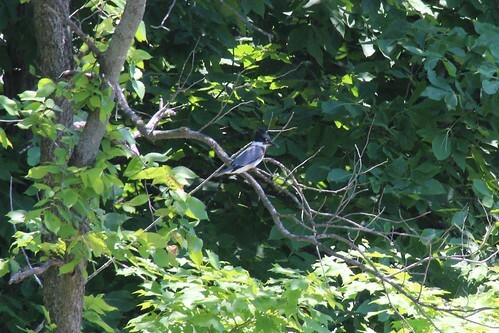 Wow---every time you all go there, you see such great treasures... That Kingfisher is gorgeous... And or course, you are the Dragonfly Whisperer for sure..
Hope you have a good 4th. Ha! Thanks for the new title, Betsy. ;) The photos of the kingfisher weren't the best, but I couldn't resist including them. Fantastic pictures. 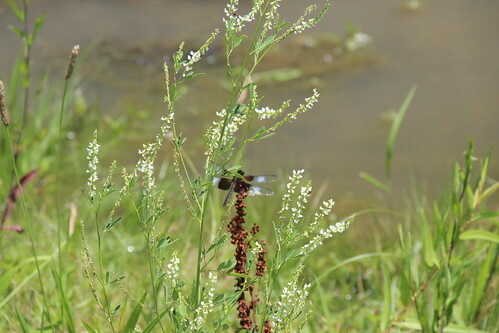 I love all the dragonflies you get to photograph. Thanks so much, Ruth. 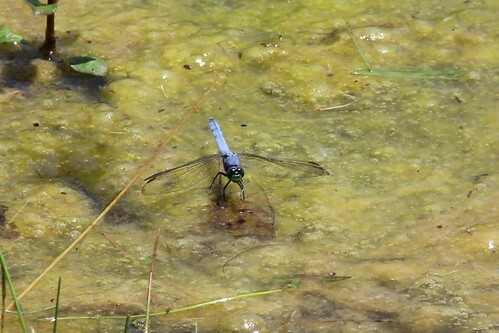 I'll bet you could find some of those dragonflies at your Lake Minniwasta. It just takes a little patience. If you see them perching, just try to get close to where they are. 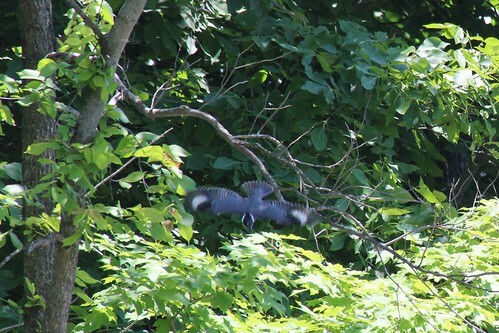 They may fly away, but they'll usually return to the same perch. You get marvelous photos of dragonflies, but your pictures of the kingfisher are very good as well. Thank you, George. I appreciate the kind words. Great pictures! Love that Kingfisher, a hard one to get.I see you going on the hunt for dragonflies like I do occasionally.some days that may be all I shoot LOL I sat on a log in the middle of the Niabrara River for 45 minutes just hoping to get a kingfisher shot. I was still using film so wasn't sure what would turn out. It was a warm day so the river soothed me, but never got a good one. 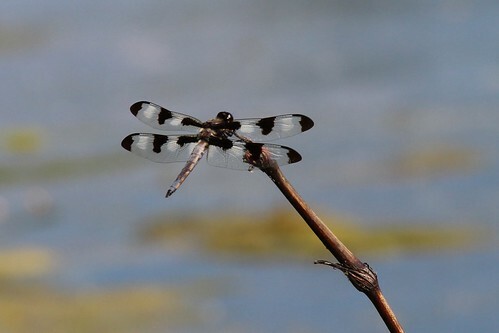 To the dragonfly queen, great pictures of the dragonflies, you seem to capture them is such a perfect pose.I am intrigued with the variety of the species...Thank you for sharing them. Thanks for stopping by my blog and leaving a comment. 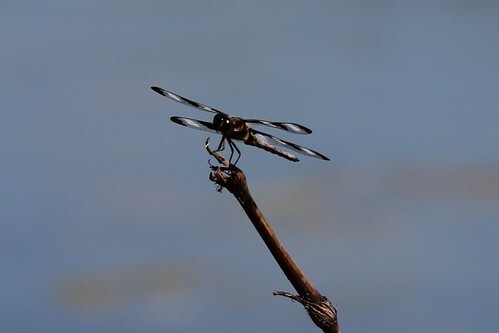 Great pics of the dragonflies! Thanks, Linda. I enjoyed my visit to your blog very much. Hello Linda! We were driving by a pond just a few evenings ago and my husband saw a Kingfisher diving in and he said, "Hmmm...wonder what that Kingfisher saw that it was diving in after?" :) Thank you for the lovely photos! Hi, Dianna. It's always a treat to see a kingfisher in action, isn't it? Thanks for the kind words. Hi Linda, I am another Linda and enjoyed your photos. We used to travel alot too and miss being able to do that these days. I belong to my Lord and try to serve Him as best I can every day. I hope we might become blog friends. Welcome, Linda. Thanks for the visit and the kind words. I love dragonflies, but rarely have the opportunity to capture them. Your photos are really lovely! It's true that buildings are a bit more cooperative than dragonflies when it comes to posing for photos. And you do create some beautiful images of them!